Bowl season is known for bad beats. On Saturday, the Birmingham Bowl added its name to the list. A wild final minute ended with Wake Forest holding on for a 37-34 win as a 2.5-point underdog. Bowl season is known for bad beats. On Saturday, the Birmingham Bowl added its name to the list. A wild final minute ended with Wake Forest holding on for a 37-34 win as a 2.5-point underdog. It was a hard-luck loss for bettors who were on the OVER 71.5 when Memphis missed a field goal on the final play of the game. This game looked like a laugher early. Memphis jumped out to a 28-10 second quarter lead. 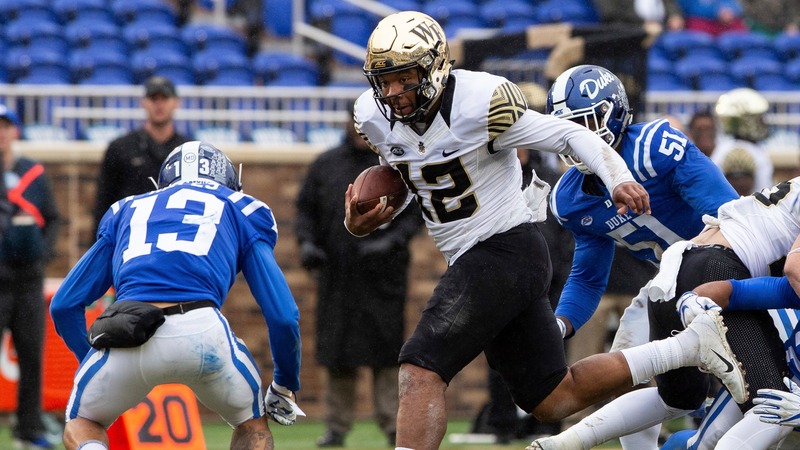 Wake Forest stormed back with two touchdowns in the final seven minutes of the second quarter to cut Memphis' lead to 28-24 at halftime. The total closed at either 71 or 71.5 (more on that later) but either way, OVER bettors were sitting pretty with 52 points scored in the first half. Then the scoring stopped. Wake Forest kicked two field goals in the third quarter and shockingly, those were the only points when Memphis got the ball with 5:42 left in the game. That's when the craziness started. Memphis found its offense for the first time since the second quarter, capping off a 14-play drive with a Patrick Taylor, Jr. 9-yard touchdown run. With just 1:15 remaining, the Tigers went for two. It was close a disaster for Memphis bettors because the conversion was almost returned for 2-points the other way. Memphis led 34-30 but it didn't take long for Wake Forest to reclaim the lead. The Demon Deacons went 75 yards in just 41 seconds to break the hearts of Memphis bettors and take a 37-34 lead. Now, the Wake Forest touchdown was a big one because it tied the total for some bettors who got it at 71. Depending on the sportsbook, the total was either 71 or 71.5. However, the suspense wasn't done yet. Memphis got the ball back with 34 seconds left and quickly moved into field goal range. Yet, once Memphis got to the Wake Forest 17-yard line they got conservative. The Tigers ran the ball then played for a tying field goal. It ended up being a costly decision. Following a false start penalty, Memphis kicker Riley Patterson shanked a 43-yard field goal. It ended a roller coaster day for Memphis and OVER bettors. It appeared the late scoring flurry would get the game past 71 points but OVER bettors had to settle for a push or tough loss thanks to another crazy bowl game finish.